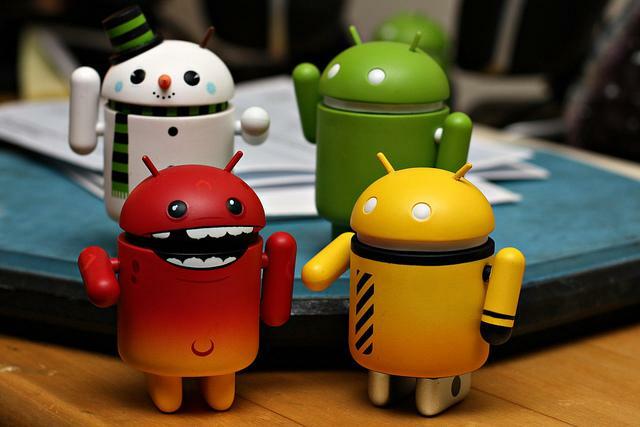 Android owners aren't as fond of Facebook, Snapchat, Instagram and Twitter as they used to be, according to a new report. Android users spend less time with social media apps than they did just a year ago, according to a new report from SimilarWeb, a company that measures website and app performance. The total amount of time people spent using the four leading Android social apps — Facebook, Snapchat, Instagram and Twitter — dropped in seven of the nine countries included in SimilarWeb's study, which compared the time users spent with the four apps year-over-year during the first quarter of 2016. The time Android users spent on Facebook increased in Germany and Spain from 2015 to 2016, but people in Australia, Brazil, France, India, South Africa, United Kingdom and the United States used the site less than they did a year ago, according to SimilarWeb. Some of the usage drops were negligible, such as Snapchat usage in Brazil, which dipped from 11.23 minutes to 11.10 minutes. Others were more substantial. For example, time spent on Twitter in France decreased by 34 percent, from an average of 19.8 minutes during the first quarter of 2015 to 13.12 minutes during 2016's initial quarter, according to the report. Twitter and Instagram suffered the most significant declines in total time spent with their Android apps. Instagram lost nearly a third of the time spent in its Android app in the United States during the period, according to SimilarWeb. And time spent in the Android Twitter app in the United States declined by almost 30 percent. 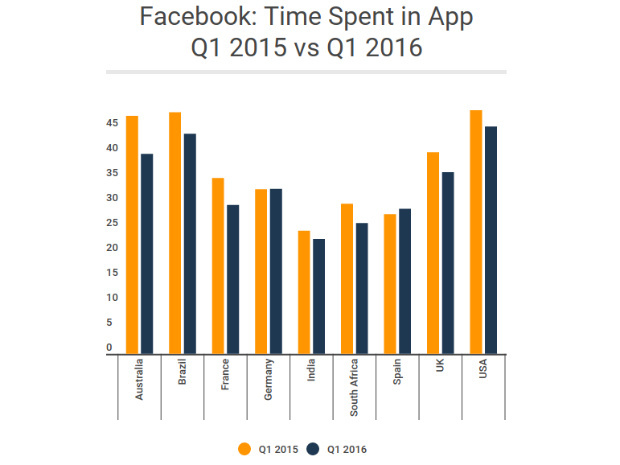 SimilarWeb's report also suggests Android users today install fewer social apps than in the past. Across all of the four leading social app, downloads dropped by an average of 9 percent in the nine countries examined. Snapchat saw its highest decline in South Africa, where installs dropped by 56 percent from March 2015 to March 2016. Its highest increase of installs was in Brazil, where Snapchat downloads jumped 22 percent during the same period. Snapchat installs on Android devices also increased in Germany, Spain and India, according to SimilarWeb. However, though the amount of time users spent on the leading Android social apps is mostly down, Android owners are not fleeing social entirely. Installs of WhatsApp's Android software increased by 5 percent, to 20 percent, during the period, for example. And Facebook Messenger installs jumped 2 percent during year over year. These findings suggest Android users may not be growing tired of social media overall, and they could simply be looking for other flavors of social communication.